What Dentist In Washington, DC Can Treat Your Entire Family? We Can! You love your family – your kids, your spouse, even your in-laws. They always keep you on your toes and give you a lot to laugh and smile about. But a big family means being busy, and that leaves you searching for more hours in the day. You wish you could make dental care for your family easier, and with Aesthetic & Family Dentistry of Washington, you can! Since we offer comprehensive care for your entire family, you can save time and take care of your whole crew in our office. Find out why we’re the premier family dentist in Washington, DC in this post. 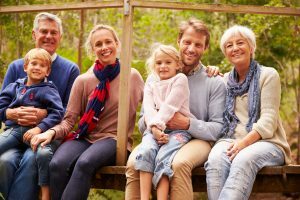 What Makes Aesthetic & Family Dentistry of Washington Different? Dr. Yelena Obholz is a mom herself, and she takes pride in treating her patients with the same care and compassion she would give her own family. She’s a graduate of the prestigious New York University College of Dentistry and has years of experience in every facet of dentistry. She’s kind, has a gentle touch, and takes the time to educate her patients to set them at ease. And, if you don’t believe us, take a look at some of her online reviews to learn what patients just like you have experiences when working with our team. If you search for us, you’ll find we’ve got 5/5 stars on ZocDoc.com. Can Your Practice Help Me Save Money? Now that you know why we’re the right practice for your entire family, schedule your appointment today with Aesthetic & Family Dentistry of Washington, the most qualified, most convenient practice in DC!